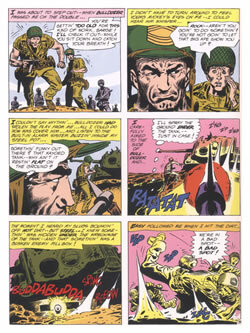 Joe Kubert created an iconic figure in Sgt Rock. But look at the supporting characters. Each one different. Each one distinctive. Distinctive characters at least keep the reader from getting confused. 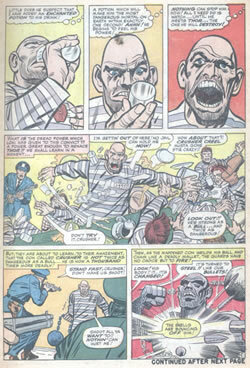 Crusher Creel - the Absorbing Man - was one of Thor's most popular foes, a result of Jack Kirby's skill at character design. Everything about the character says, "thug"! 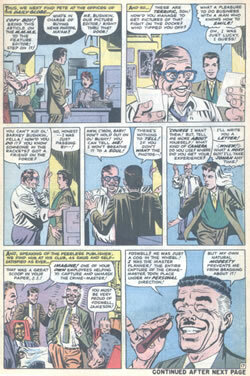 Although Barney Bushkin appeared just once in a small cameo role, he remains one of the best remembered of the Spider-Man cast of supporting characters, due to great design by Steve Ditko.